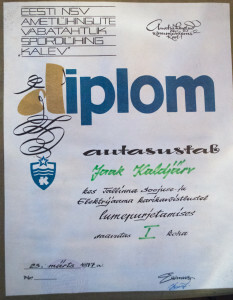 The first drawings of windsurf boards emerged in the Estonian Soviet Union through Ain Vilde in 1973. The next few years ignited a serious interest in windsurfing. The new field was very attractive and there was a need to do it all year round. 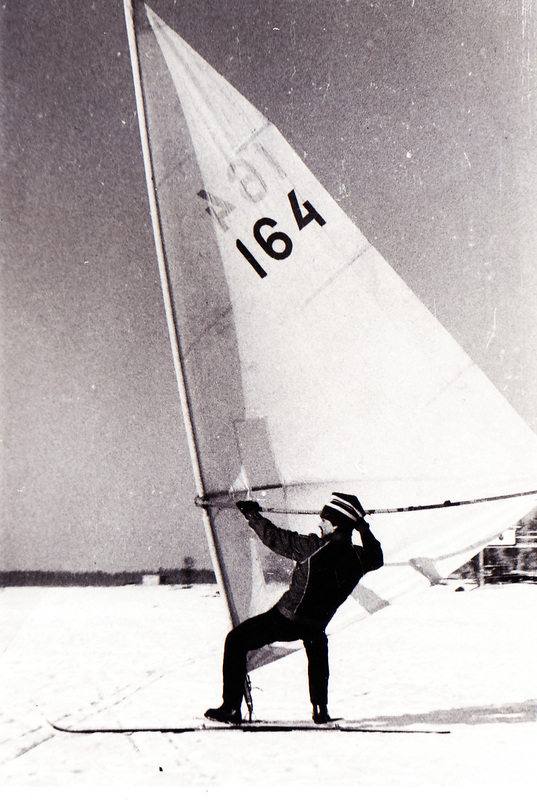 The idea to put a sail onto a ski allegedly originated from a windsurfing enthusiast from “Eesti Energia” Jüri Plisnik. 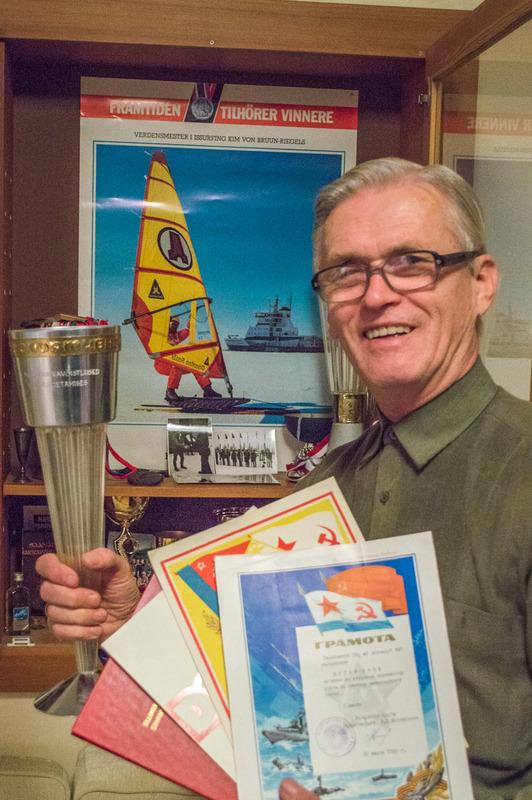 That sailskiing was an extreme sport was indicated by Tõnu Toomara’s unfortunate fall. The skate attached on a ski’s ridge cut a deep wound into his leg. The consequences were of course severe. The wearing of a helmet, elbow and knee protection and other safety equipment became an elementary part of the sport. 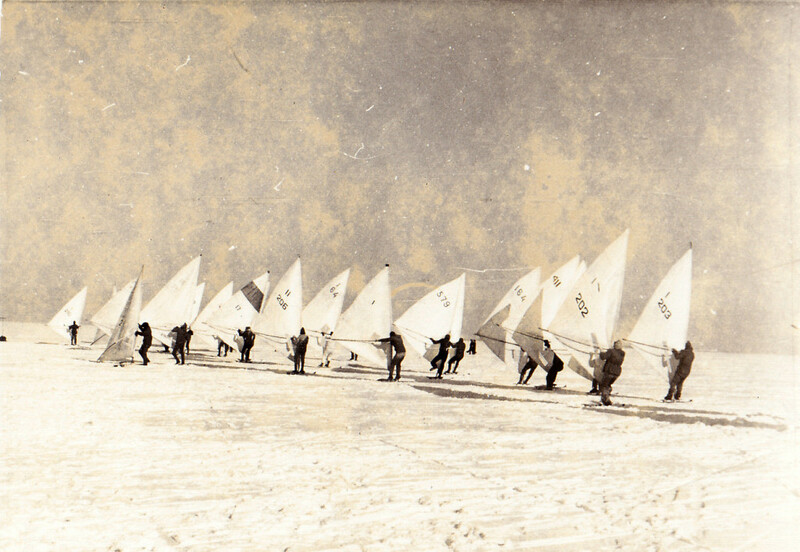 About a ten-member group developed the sail ski to become more and more perfect. Small contests took place on lakes and rivers because the coast guard wouldn’t allow going out onto the sea. 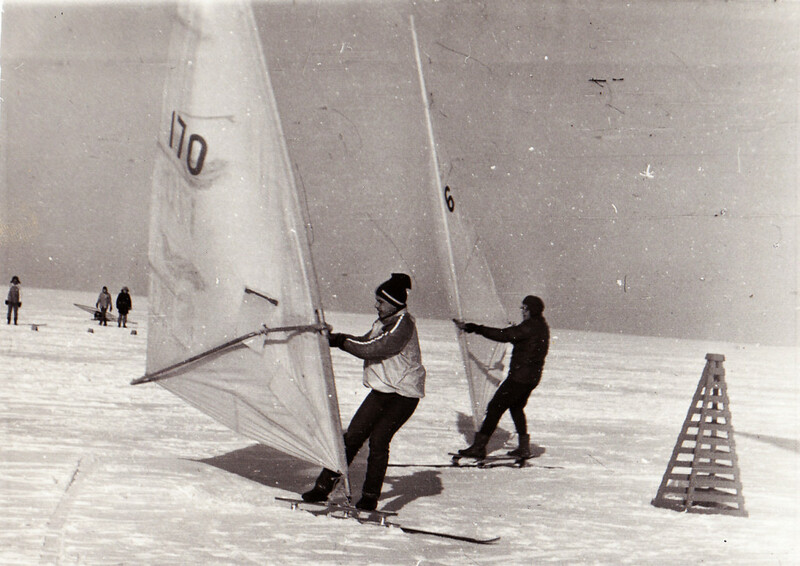 The first competition was held in 1977 – “Tallinn’s Heat and Power Plant Cup snow windsurfing competition”. On the first year the cup was won by Jaak Kaldjärv. 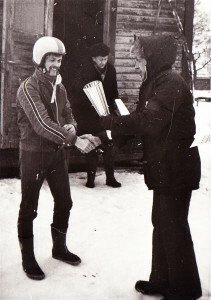 In 1978 the trophy went to Jüri Plisnik and the next two years Erki Mägar won the competition. 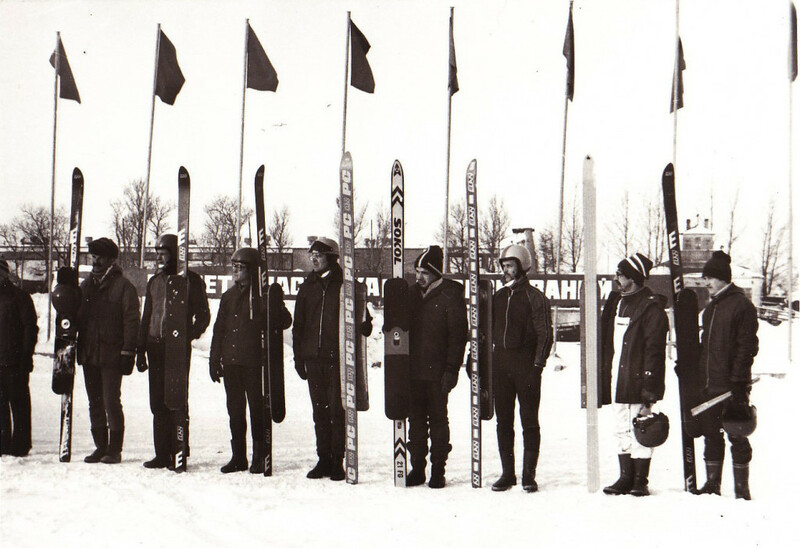 Because Estonia was part of the Soviet Union the information about the sail ski spread first to Russia. The biggest bulk to the development of the field came from Moscow, Leningrad, Severodvinsk and Murmansk. 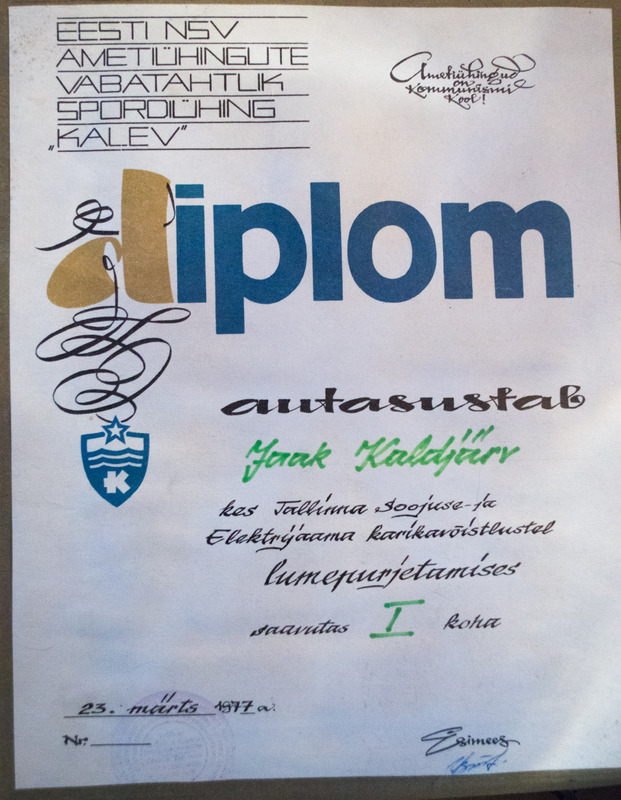 In 1978 the “Katera i Jahtõ” competition had already about 100 competitors. 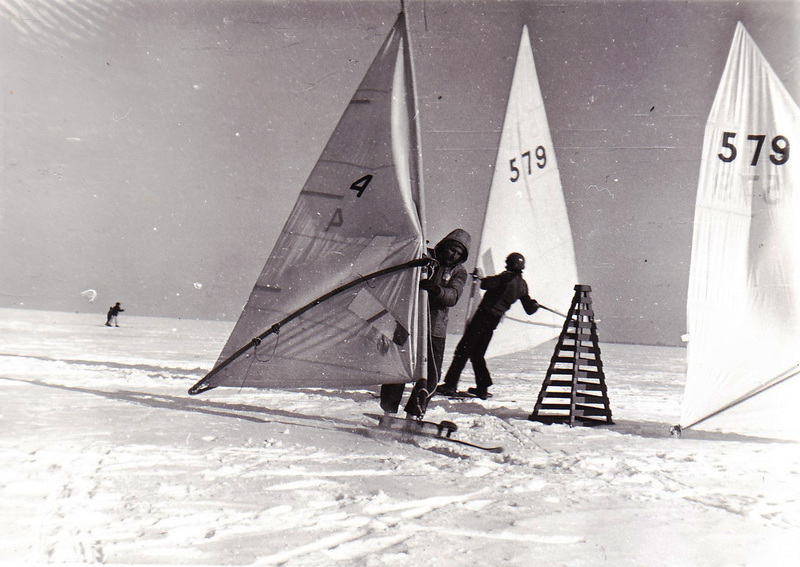 Winter windsurfing developed and an international organisation WISSA (World Ice and Snow Sailing Association) was created. The first World Championship was held in Finland in 1980. 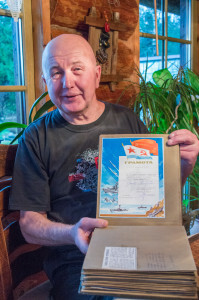 One of the best Estonian “skisailors” was Erki Mägar. He wrote a letter to the organisers about his wish to take part and gave it personally to the captain of the ferry “Georg Ots”, who put the letter into mail in Helsinki. The letter wouldn’t have gotten past the KGB in regular mail services. Erki was sent an individual invitation to the World Championship, but winter windsurfing was too new next to regular ice sailing in the Soviet Union. The deciders didn’t give a permission to go to Finland, giving the reason as a lack of formality – a lack of an association team. You couldn’t compete with a tourist’s visa, therefore estonians couldn’t take part in the first World Championships. 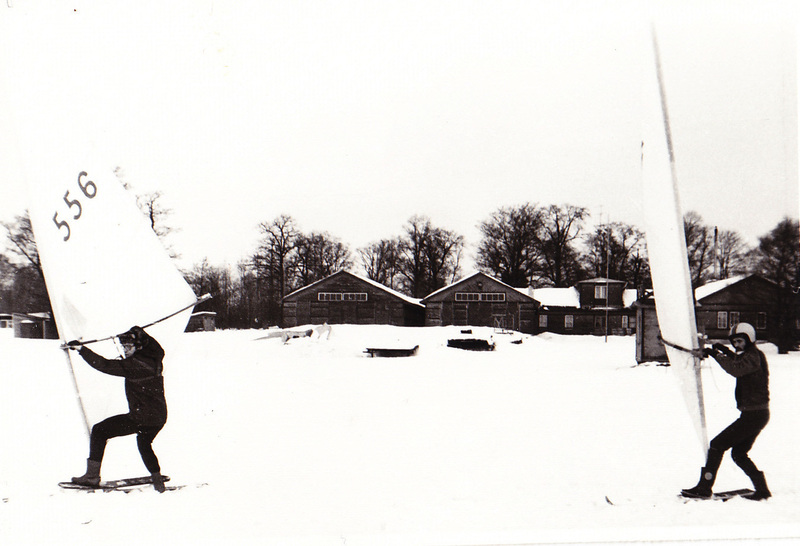 In ice sailing though there was an USSR team and Ain Vilde was the World Champion by that time. In 1990 Estonia restored its independence and in 1991 the WISSA World Championship was held in Estonia, Kabli. When most of the legends of winter windsurfing had retired from competing careers, Kalev Allikveer has taken part of all the WISSA World Championships for 25 years without an interruption. Now in the World Championship in 2016 Kalev is in the role of an organizer, although he plans to also take part. WISSA World Championship is held in Estonia for the fifth time, this time on the ice of Haapsalu.